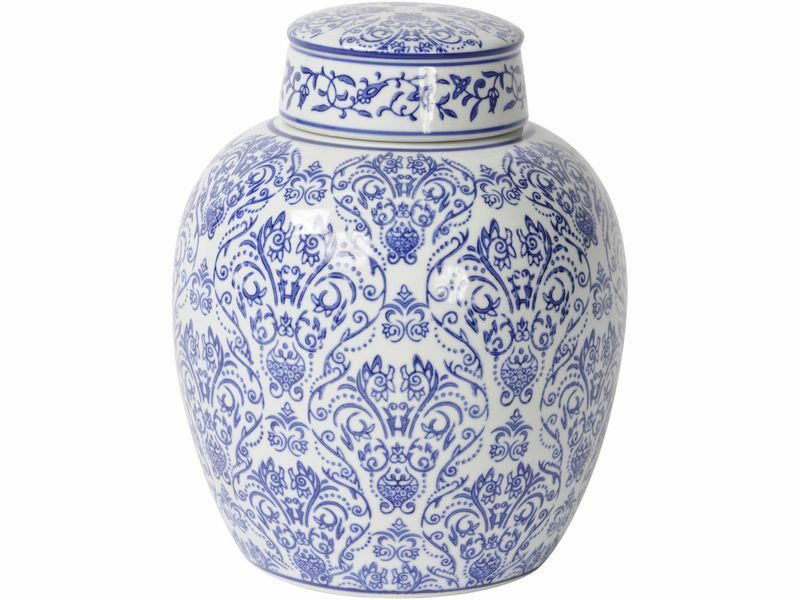 The Chinoiserie Blue And White Ceramic Flat Top Jar would be a beautiful piece to gift yourself or a loved one. 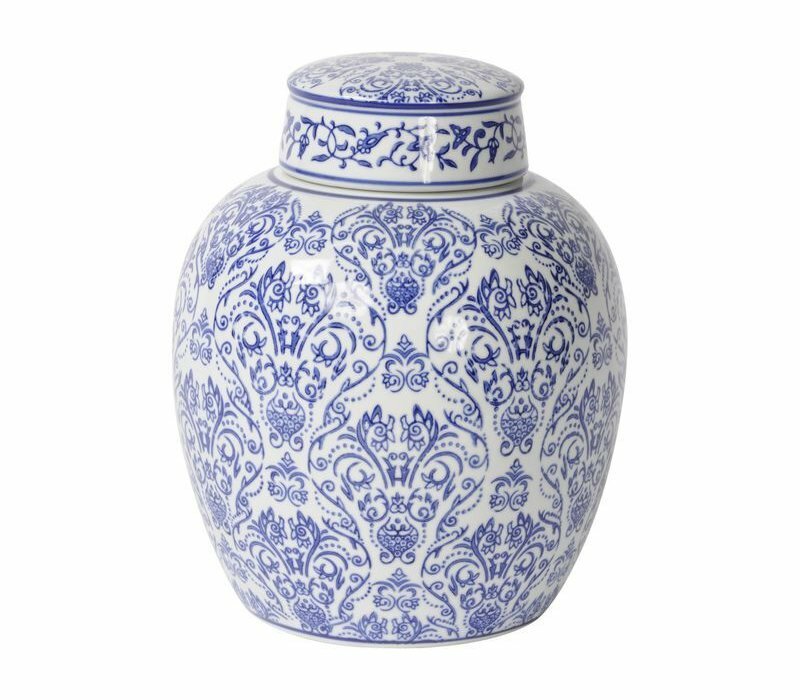 Gorgeous, traditional blue and white floral print. 21.5 x 21.5 x 25.5cm.